ST. PAUL, Minn.--(BUSINESS WIRE)--Minne Ties® Agile MMF by Summit Medical, an Innovia Medical Company, has been recognized as a finalist for this year’s Medical Design Excellence Award (MDEA), an award that acknowledges the superior design and engineering of a product in the medtech industry that has positively impacted the quality of the delivery and accessibility of healthcare. The winner of the MDEA will be announced on June 12 at the Annual MDEA Ceremony. 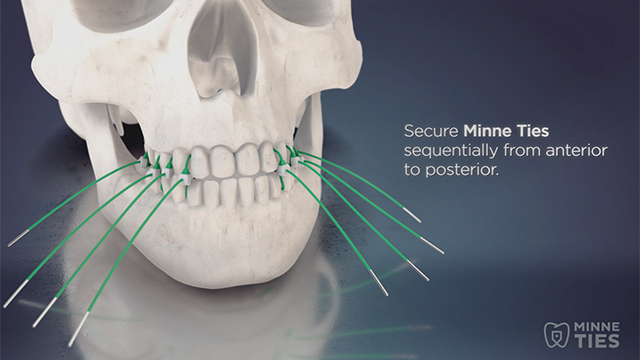 Minne Ties Agile MMF was introduced to the cranio-maxillofacial space in May 2017 upon being cleared by the FDA. The first-of-its-kind, non-invasive product was developed in partnership with Dr. Alan Johnson and the University of Minnesota to be a safe, simple and efficient solution for use in jaw fracture management. The suture design resembles a zip tie and features a smooth clasp head on one end and a stainless steel blunt tip introducer on the other. The medical grade, self-locking ties are applied through the interdental space to provide a secure bite, achieving MMF. Minne Ties are quick and easy to apply and can be applied in the operating room or in a doctor’s office, allowing for more freedom and potential savings for healthcare facilities. Learn more about Minne Ties Agile MMF at www.minneties.com. Minne Ties Agile MMF by Summit Medical, an Innovia Medical Company, has been announced as a finalist for this year's Medical Design Excellence Award.